If you can’t remember the last time you had a full service, your vehicle is probably due. Just look at your odometer. Does it read 90,000? If it does, your friends at BC AutoCenter in Willow Glen want to see you for your 90,000 mile service. No, we didn’t make this up. The 90,000 mile service is a necessary maintenance inspection that car manufacturers and professional mechanics highly recommend. Face it: your vehicle is getting old. But it doesn’t have to run like an old vehicle. 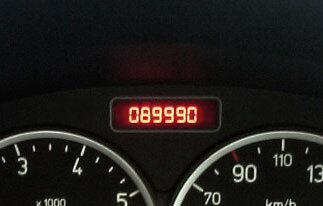 If you live in Willow Glen area or San Jose and your odometer is glaring at you with the big number, visit us and maintain the vitality of your vehicle. When you bring your vehicle in for the 90K service, we perform all the standard maintenance without putting a hole in your wallet. If we believe you need new tires or brakes, we will let you know and you can make a decision. We never make you commit to something that’s not within your budget. Some of the basic maintenance that may occur during the service includes an inspection and possible change of spark plugs, air filters, fluids, belts and more. After receiving your full inspection, your vehicle will run at peak levels. You’ll be glad you came to BC AutoCenter for your 90K service.